With its elegance, Positano is without any doubts the pearl of the Amalfi Coast and favourite destination of artists from all over the world. So harmonious, colourful and charming, Positano and its hotels are the best starting point to discover and enjoy the wonders of this coast. 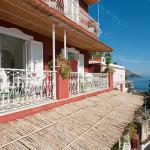 Among lush gardens of lemons and oranges, palm trees and white houses, Positano offers many accommodation for tourists. Positano in spring and summer become one of the favourite tourist destination in this part of Campania region because boasts an equipped beach. Cheap Hotels in Positano are located mainly in the upper part of the town and outside the high season there are interesting offers. 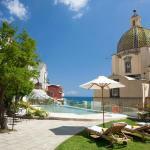 Luxury Hotels in Positano are instead mostly near the sea and the beaches. 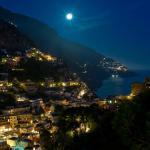 There are three islands close to Positano: Isola del Gallo Lungo, Castelluccio and La Rotonda. They were already described by Omero as the place of the mermaids' fatal song, from which Ulysses was able to defend himself thanks to the help of the enchantress Circe. They are also a fascinating place beloved especially by some of the greatest Russian dancers like Léonide Massine and Rudolf Nurejev as to become their residence. Hotel Conca d'Oro awaits you 15 minutes away from the centre of Positano and 500 meters from the beach, directly accessible by a stairway located nearby the hotel. 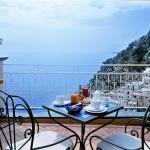 Surrounded by the dramatic cliffs of Positano, the Domina Home Royal is a pleasant 4-star hotel offering beautiful views. It offers easy access to beaches, 24-hours front and a convenient parking spot. 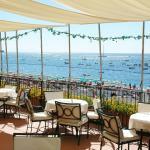 Located in Marina Grande Positano, on the waterfront, you will find the cozy Buca di Bacco. 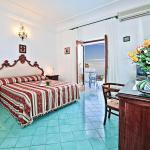 This hotel, ideal accommodation for exploring the Amalfi Coast, offers easy access to Naples and a great value for money.